You can start Thieving at home near the bank. Donators can train thieve also on a special stall they are locate at ::mzone and plat/dia zone. You can thieve here when u have level 80. 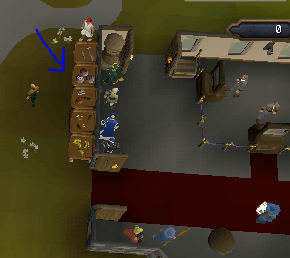 The items wich you can steal gems at gems stall and other stall gives you steelbars,rune daggers,red vine worms,blue dragon hide and gold ores. And they give lots more XP then the F2P stalls. Last edited by maurice; 12-12-16 at 02:30 PM.